Japan has hosted the Winter Olympics twice and holds the world record for the deepest ever snow cover, so it’s no wonder that snowboarding and skiing holidays in Japan are only growing in popularity. There are hundreds of high quality resorts on both Honshu and the northern island of Hokkaido for foreign thrillseekers to explore. Japan is famed for its large amounts of quality dry powder snow. Many resorts average 10-18 meters of annual snowfall, and four or five days of fresh powder snow a week during the ski season. There are also a ton of exceptionally well-maintained routes, as grooming is heavily practiced on Japan’s pistes. Ski season in Japan starts in December and continues until mid-April. Japan’s ski resorts are busiest in January but there is still decent snow in March when flights to Japan and resort accommodation is much cheaper. 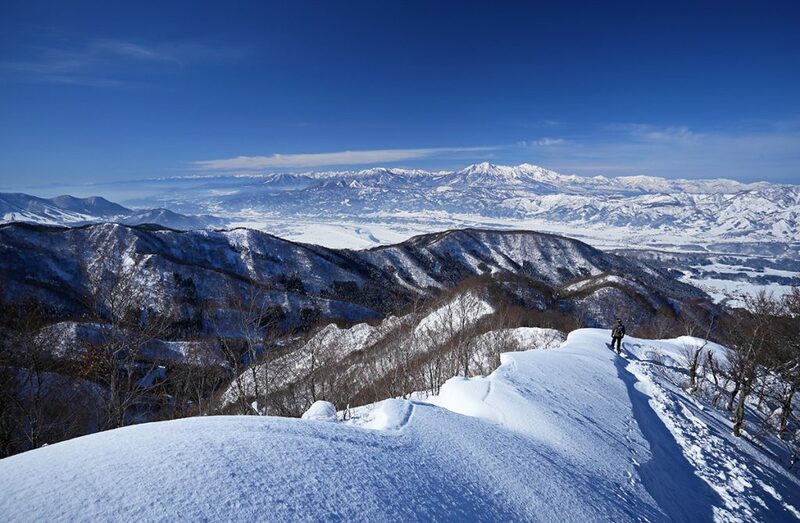 More advanced skiers and snowboarders can explore the backcountry of Asahidake or the challenging runs of Furano, one of the steepest mountains on Hokkaido. For those traveling with young children, the Niseko ski resort is family friendly in particular and a good option for beginners in Japan, as English-speaking instructors are widely available. Niseko ski resort is located in the south of Hokkaido island and is widely considered to have some of the best snow for skiing holidays in Japan and in the world. It always seems to be snowing in Niseko, with 15-18 meters per season on average and a constant deep powder in the Winter. 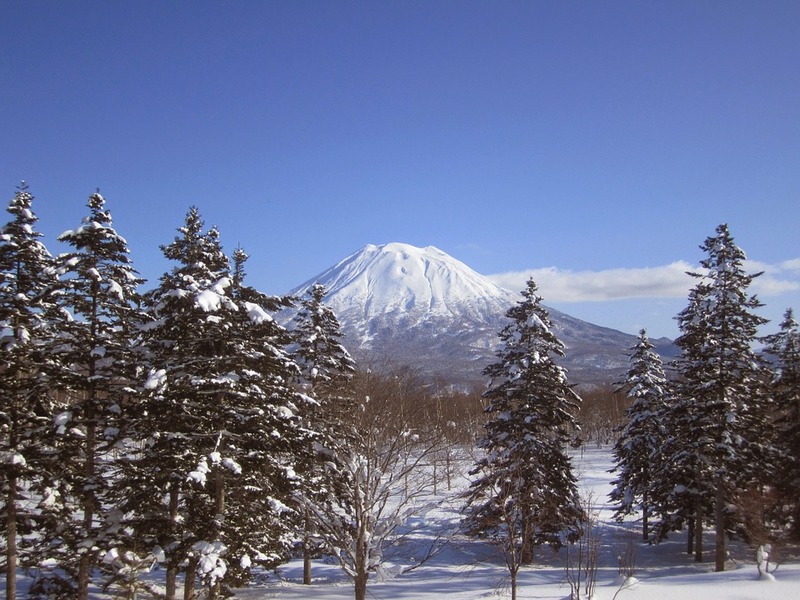 Niseko is one of the largest ski resorts in Japan, with 47 kilometers of groomed terrain, and is made up of four interconnected areas. There are slopes for skiers and snowboarders of all levels, and some of the best slackcountry in Japan. The Hirafu area is particularly popular with foreign skiers in Japan, as the adjacent Hirafu village is fitted out with Western-style accommodation, English is widely spoken and there is a lively nightlife scene popular with international visitors. It’s also one of the most family-friendly ski resorts in Japan, as there are babysitting services, ski schools and clubs for kids. How to get to Niseko: The JR Hakodate line can get you from Sapporo to Niseko in roughly an hour, or if you come from Tokyo, you can take the Tohoku Shinkansen, then the JR Hokuto line, and then connect with the Hakodate line. Quick enough to get you on the slopes and start shredding on a snow packed mountain. Rusutsu is another holiday resort that offers some of the best powder skiing in Japan, with plenty of fresh tracks and around 13 meters of annual snowfall. It’s an excellent option for advanced level skiing and snowboarding holidays, although there are slopes for all levels. 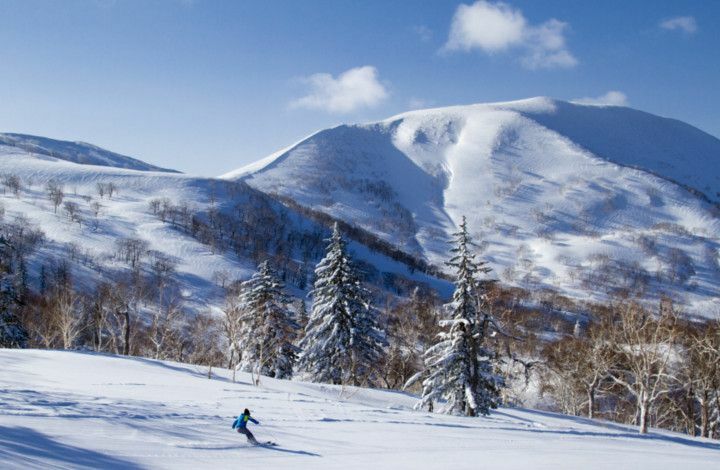 Although located in the same region of Hokkaido, Rusutsu Resort is less busy than Niseko, and offers great off-piste and tree skiing with great lift infrastructure, perfect for snowboarding. It’s also one of the few places with a heli-skiing package in Japan. Rusutsu is also a family-friendly resort, offering many theme park-like features such as a children’s snow park, an antique carousel and dancing animatronic bears to keep the kids entertained. However, child-care staff and instructors for kids largely speak only Japanese. How to get to Rusutsu: Take a direct shuttle bus from either Sapporo or New Chitose Airport. Like most of the ski resorts in Hokkaido, Kiroro boasts excellent quality of powder snow and plenty of it, and is a safe bet for skiers coming early in the season. A smaller resort compared to others on Hokkaido, Kiroro is more suited for shorter stays or day trips. Kiroro Ski Resort – Photo credits: Kiroro Hotels Co. 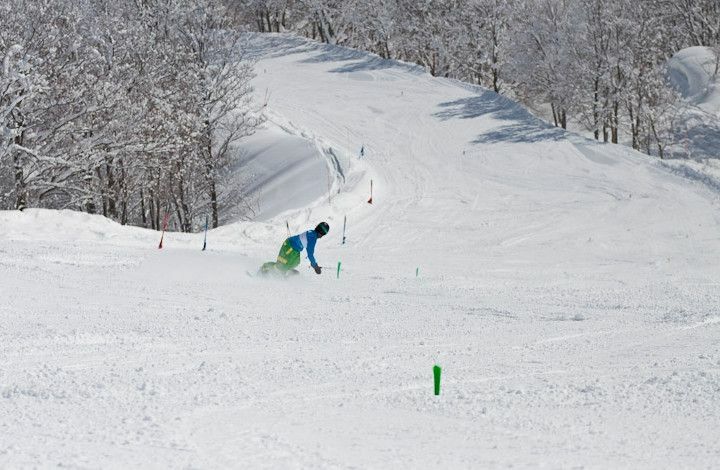 The 21 runs at Kiroro are an even mix of green, blue and black slopes, although most are suitable for beginners and intermediate levels as even the blacks are not too difficult. However, Kiroro’s popularity is growing and it can tend to get a little tracked out. Advanced powder skiers will want to head off-piste for quality backcountry and tree skiing, however, an itinerary plan must be provided if skiing outside resort boundaries. Children are well-catered for at Kiroro, and a ski school with group lessons in English is available. The whole family can also enjoy extra activities such as snowcat or snowshoe tours, as well as both indoor and open-air onsen hot springs. How to get to Kiroro: Catch a bus to Kiroro from outside the train station in Sapporo. Because of its location in the very center, Furano boasts better quality snow than many resorts closer to Hokkaido’s coastline. Although the volume is slightly less with around 9 meters a year, the powder is light and fluffy and there are more sunny, blue-skied days. The resort is well-known for its numerous long groomed runs for all levels. 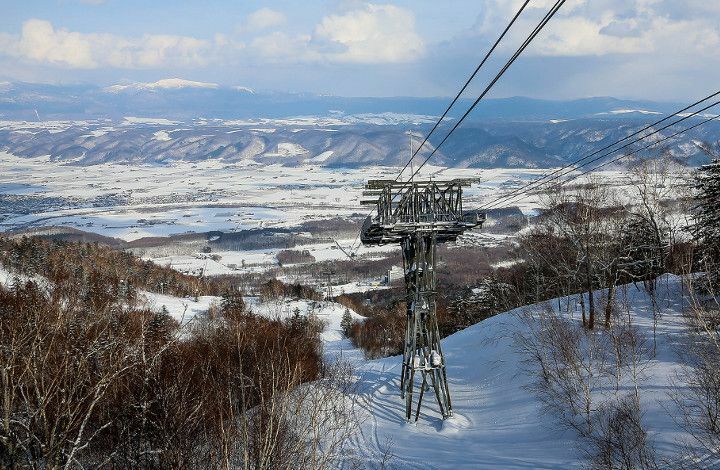 Furano also offers more for advanced skiers than most Japanese resorts, and experienced powder-chasers could spend up to two weeks exploring the many routes in the backcountry. English-speaking childcare and ski lessons are widely available at Furano. However, the holiday resort is far less Westernized than many others in Hokkaido, and there are some excellent opportunities to experience some Japanese culture in the town of Furano. How to get to Furano: Take one of the regularly scheduled direct buses from New Chitose Airport in Sapporo to Furano ski resort. The closest resort to Sapporo city is made up of two small areas. Sapporo Olympia was the site of the 1972 Sapporo Winter Olympics bobsled competition, and offers gentle slopes perfect for newbies or upper beginners. The Highland Zone, meanwhile, will challenge even advanced skiers with some of the steepest in-resort terrain in Japan. However, the area is small and backcountry skiing is less accessible than in other resorts, so a day trip to Sapporo Teine is enough. A comfortable modern gondola connects the two areas, and a fast covered ski lift services the entirety of the Highland pistes. Equipment rental is also available for both standard and high-performance skis and snowboards. 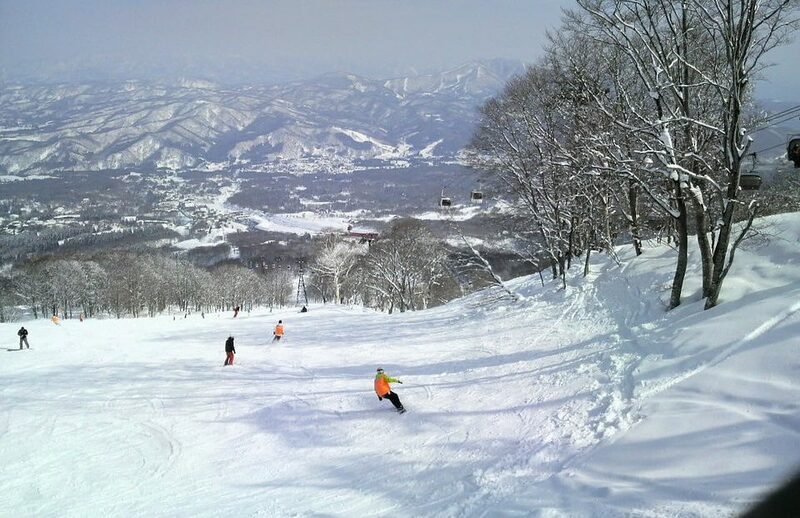 Because the Sapporo Teine slopes are north-facing, the powder is consistently fresh and deep. The resort is more popular with locals than international skiers, so tends to get less tracked out than other main resorts. How to get to Sapporo Teine: The resort is just a 45 minutes drive from Sapporo city center and can also be accessed by shuttle bus. 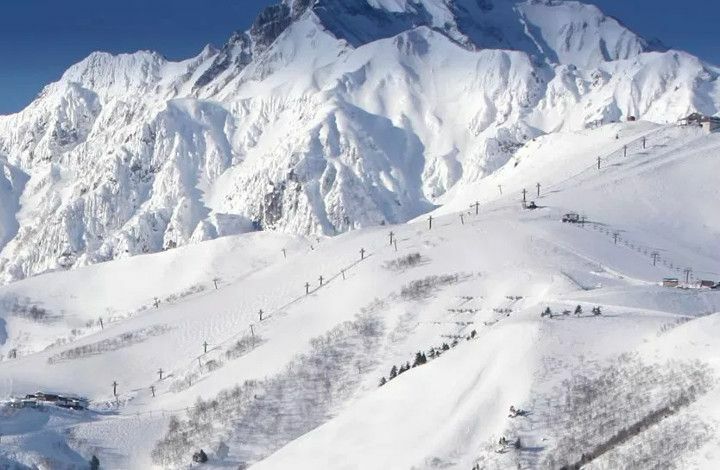 The Hakuba Valley in the northern Japanese Alps on Honshu is a great option to ski in Japan near Tokyo and popular with international tourists. The valley offers 11 different ski resorts with a combined 137 kilometers of piste and hosted many 1998 Nagano Winter Olympic events. 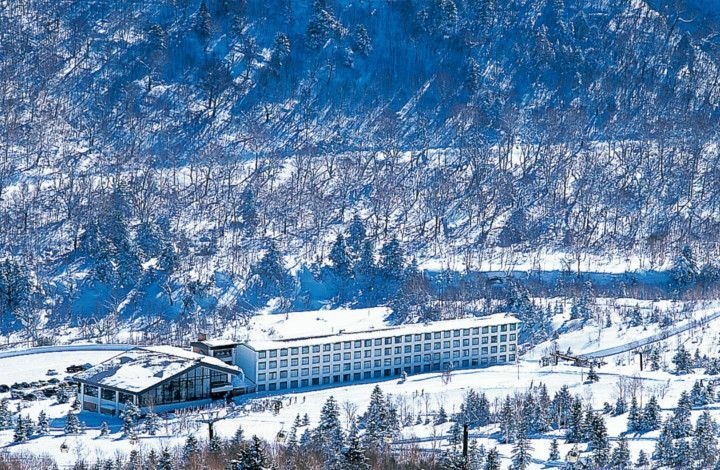 The Hakuba valley receives around 11-13 meters of annual snowfall. Although not as soft as in the Hokkaido resorts, the powder is generally very high quality and can be very deep. The more than 200 runs cater to skiing and snowboarding at every level, all set within the fairytale alpine scenery of the Hakuba Valley. Experienced powder-chasers will want to head to the Norikura, Hakuba Cortina or Tsugaike resorts, with the latter two best for tree and off-piste skiing. Norikura is often the best option for fresh powder. 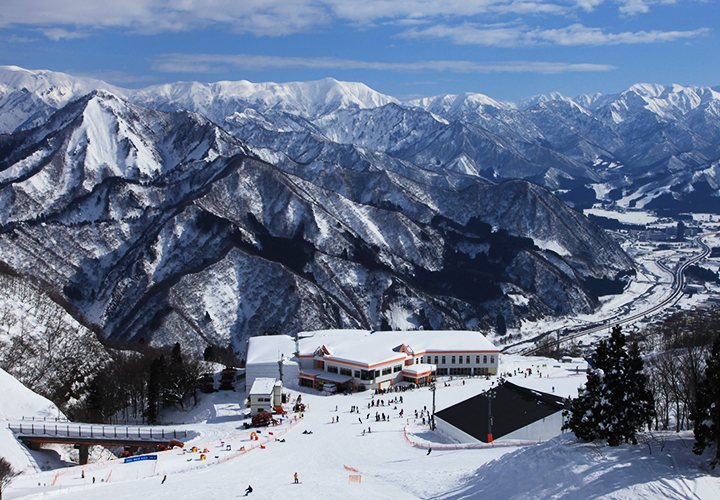 The best holiday resorts for beginners or intermediate skiing and snowboarding are Tsugaike, Goryu and Happo One, the ‘main’ resort of the Hakuba Valley. English is widely spoken at Happo One and the resort caters to families with childcare and group ski lessons for kids. How to get to Hakuba Valley: Hakuba can be easily accessed from Tokyo or the Narita International Airport via bullet train with the Japan Rail Pass, taking the Hokuriku Shinkansen to Nagano and an express bus from there. Extensive shuttle bus services are also provided between all the resorts. Nozawa Onsen was opened in 1924 and is one of Japan’s oldest, largest, and most popular resorts, with enough variety for a week-long ski holiday. The resort boasts over 300 hectares of terrain and 50 km of slopes for skiing and snowboarding holidays at every level. There’s a 1,085 meter vertical drop that die-hard rippers and shredders will love, as well as a half pipe, extensive mogul runs and a 39-degree incline. The wide, well-groomed ski runs wind their way through the extensive tree cover on the mountain and the snow is high quality, although heavier than that on Hokkaido. Although offering decent backcountry, off-piste skiing is officially banned in the resort. But perhaps the biggest draw in the resort is the charming Nozawa Onsen village, full of traditional Japanese rural architecture and onsen hot springs to relax after a day on the slopes. Another great after-ski holiday activity is to visit the Japanese snow monkeys who live in nearby Jikokudani Monkey Park. How to get to Nozawa Onsen: To get there with the JR Pass, you can also pick up get on the Hokuriku Shinkansen to Ilyama Station, or a private bus shuttle from Narita Airport. 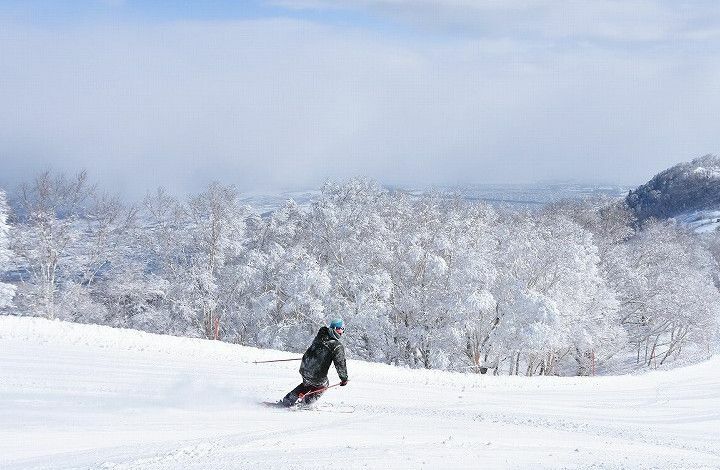 Located in the Joshinetsu National Park in the center of Honshu, Shiga Koren boasts the longest season of ski resorts in Japan, from mid-November into the beginning of May. 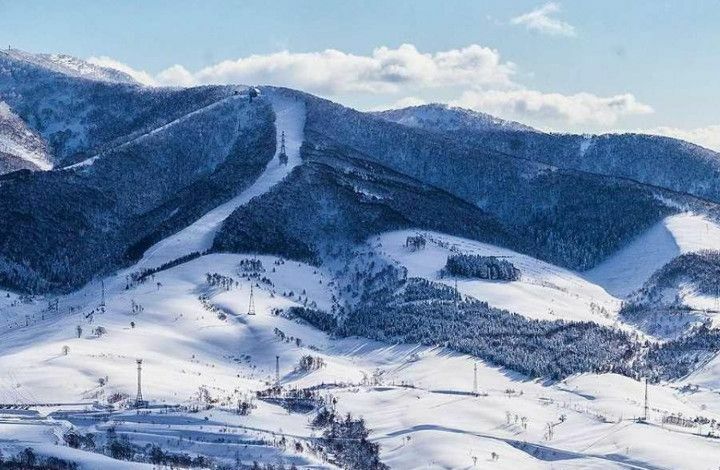 It’s also one of the highest and largest resorts in Japan, offering over 600 hectares of terrain, 980 meters of vertical, moguls, and over 80 kilometers of ski trails. The 19 different ski areas are linked by slopes and an extensive lift system with one shared pass. Shiga Koren is considered to have some of the very best terrain for intermediate level skiing and snowboarding holidays. Off-piste skiing is banned at the resort, so advanced riders who decide to go looking for fresh powder in the backcountry won’t have much competition. One downside is that in many parts of the resort English is not widely spoken, although group ski lessons in English are available from the local ski school. How to get to Shiga Kogen: From Tokyo, take a 1.5 hour bullet train to Nagano with your Japan Rail Pass, and then a direct bus to Shiga Kogen which takes about 70 minutes. For those prioritizing quality powder, Myoko Kogen is perhaps the best option to ski in Japan near Tokyo. The area has around 13 meters of powder snow per season on average, as well as a long vertical, tree slopes and quality backcountry. Myoko Koren is actually made up of several ski resorts linked by shuttle bus. Those looking for the steepest slopes and most challenging tree skiing should head to Seki Onsen, while more family-friendly facilities can be found at Kyukamura and Myoko Ski Park. The main resort area, Akakura Onsen, offers a range of traditional Japanese restaurants, with at least a little English spoken in most parts. A highlight of the resort is the abundance of onsen hot springs, many outdoors in the forest with spectacular natural views. How to get to Myoko Kogen: From Tokyo, take the Hokuriku Shinkansen to Nagano with the Japan Rail pass, then the Shinetsu train line to Myoko Kogen Station. Gala Yuwaza is perfect for a day trip to ski in Japan near Tokyo, as it has its own bullet train station, which can be reached from Tokyo in around 75 minutes The downside is that the easy accessibility often leads to crowded slopes and a lack of fresh powder. The resort experiences around 11.8 meters of snowfall per year on average, so snow volume can be impressive. However, die-hard powder-chasers are unlikely to be satisfied, except on quite bad weather days with some on-piste storm-riding. Off-piste skiing or snowboarding is strictly banned at Gala Yuwaza, and can even incur a fine. How to get to Gala Yuzawa: The Joetsu Shinkansen, included in the JR Pass, takes you directly from Tokyo to this location on the Niigata prefecture, in just two hours. Perfect for a day trip and for avid skiers who can’t wait to get their lift ticket right away! From Tokyo, take the bullet train directly to the Gala Yuzawa station. Japan Rail also offers cheap packages that include both the train ticket and lift pass for Gala Yuzawa. Hello, I am planning our trip to Japan. We are traveling from mid-January to the first week in February. of cours-visit the snow monkeys. We plan on taking the shinkansen to Nagano then a bus shuttle to Shiga-Kogen. take instead of a bus? To get to Nagano, take the Hokuriku Shinkansen from Tokyo Station or Ueno Station. The fastest train is called Kagayaki and operates at 260 km/h and the trip lasts approximately one and half hours. This train is included in the Japan Rail Pass. As described in this article, the JR Hakodate line will get you from Sapporo to Niseko in roughly an hour.